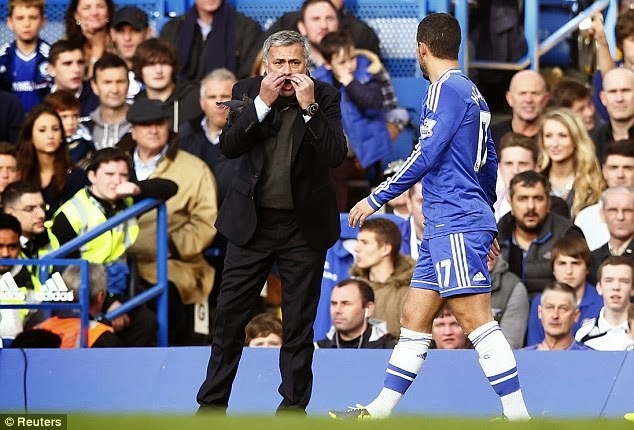 Man Management, Motivation and Mind Games - Jose Mourinho speaks! Jose Mourinho is featured in Esquire Magazine and has been speaking of mind games and motivation and it's a fascinating read. "It’s impossible to make every player better. With some I don’t succeed and with some I cannot improve. But -- if I go player by player -- my percentage of players who reach the best years and the best moments of their career with me is huge. Of course, there are a few where the connection was not good, because the personalities couldn’t find each other, or because I don’t enjoy working with them. But that percentage is minimal. You have to find the boy who wants to succeed, has pride and passion for the game. His dream is not one more million, his dream is to play at the highest level, to win titles, because if you do these things you’ll be rich the same at the end of your career. We are working hard to give the best orientation to young players, to follow examples of guys from the past -- the [Frank] Lampards, the [John] Terrys -- who were always fanatical for victories." Of course reading that, we are aware of Glen Johnson's comments today talking about The Special One where he claims that he lost total respect for Mourinho during his time at Chelsea and believes that Brendan Rogers is a better manager (google it if you haven't seen it). How we can forget Juan Mata! We all sat watching developments this season and wondered where it was going wrong? Why they couldn't work together? We all know what happened. 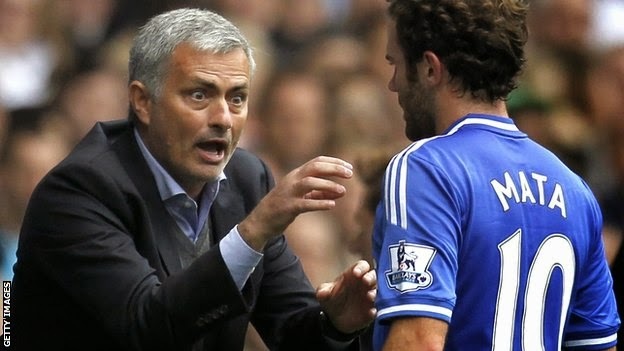 Mourinho says that in some cases he cannot improve a player and I believe that Mata was one of those. I do not for one second think that they couldn't get on or that he didn't enjoy working with him. On the flip side, just look what Mourinho has done with Eden Hazard, look at the player last season compared to how he is playing now. Hazard is a perfect example of when he DOES get the best out of people. "It's not mind games; I don't try to do that. The period before the game can be important to influence opinions, characters, personalities, feelings and, of course, I use that to touch my players, to touch opponents, to touch supporters. But for me, the only game in football is the 90-minutes game." The thing is, we all know that he provokes opinion and a reaction in whatever form. I posted in here before "When Jose Mourinho talks, everybody listens" and it's still true even more so these days. 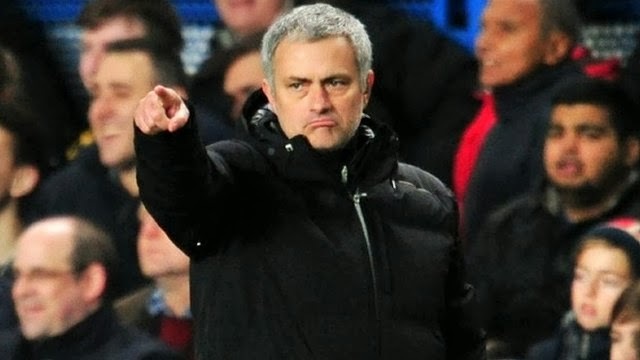 Jose Mourinho strikes me as a man who tries to be open and honest and gives you his opinion. It's just like you and I talking down the pub before or after a game. If that gets a reaction around the country then so be it. He's just stating things as he sees them. So far this season, it has worked. Look at Arsene Wenger and his Arsenal side who were sitting pretty out in front at the top of the Premier League. Mourinho reacted to comments made by Wenger and although some people thought of it being a little harsh, he was spot on and to the point. Since those comments were made, Arsenal's form has dropped and they find themselves sitting four points behind Chelsea and third in the table! Manuel Pellegrini is another. Everyone kept talking of City doing the quadruple this season and early on we sat and watched them blow teams apart week after week. Mourinho, as with most of us when asked, stated that the title was Man City's to lose and they have fantastic players and the strongest squad in the League. No argument from any of us. OK let's hold our hands up that we were lucky to beat City at Stamford Bridge being second best for most of the game. We had that little bit of good fortune at the end of the game to win it. However, the second game was very different. In the build up Mourinho continued to praise City's players and their squad. He built them up to knock them down and didn't we just do that. 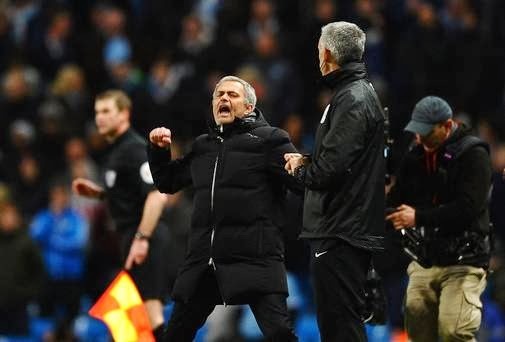 City were outplayed and their manager out thought - Jose and Chelsea completed a league double over what he described as the best team in the league. It didn't stop there either. Shortly afterwards, City had to take on Barcelona and when asked before the game of the Barcelona now compared to seasons before under Pep Guardiola, Jose answered, gave an opinion most of us agree with 100% and rattled BOTH Pellegrini and obviously Barcelona after watching Cesc Fabregas' interview after the game. I posted an article yesterday stating that Jose Mourinho is key to Chelsea's title chances this season and I really believe he is. Jose Mourinho is one of the major players in this league anyone would be a fool to under estimate his influence. As we now approach the business end of the season, the manager will play a vital part in our fortunes. With some massive games coming up starting on Saturday against Tottenham, I expect the manager to play his part with the media and it will be interesting to see if our opponents week in, week out are able to deal with him. That's the difference this season. Teams come up against Chelsea now and have to win two battles, Jose Mourinho first and then the Chelsea team second. Can Mourinho come into his own in the run in and inspire his players to MAJOR honours this season?